Brolly has addressed the issue in his weekly Gaelic Life column. 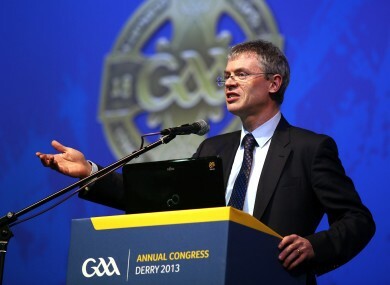 JOE BROLLY HAS revealed that he is ‘still cringing’ after his remarks last Sunday where he compared Cavan’s ‘ugly’ style of football to RTÉ commentator Marty Morrissey. RTÉ yesterday issued a statement that they had warned Brolly about his future comments in the wake of the incident and it also emerged that 20 complaints were made to the national broadcaster in the wake of the controversy. In his Gaelic Life column this week, Brolly reiterated his regret over the incident. “Myself and Tomás Ó Sé had been having a laugh with stewards and supporters outside just before we went on air. All jokes and craic. Problem is that when we went on air a few minutes later, it wasn’t the Oliver Callan Show, but the Sunday Game. “Marty Morrissey is a decent, good humoured man. When I apologised to him he was quick to accept it. Email “'I am still cringing about it' - Joe Brolly on those comments about Marty Morrissey”. Feedback on “'I am still cringing about it' - Joe Brolly on those comments about Marty Morrissey”.